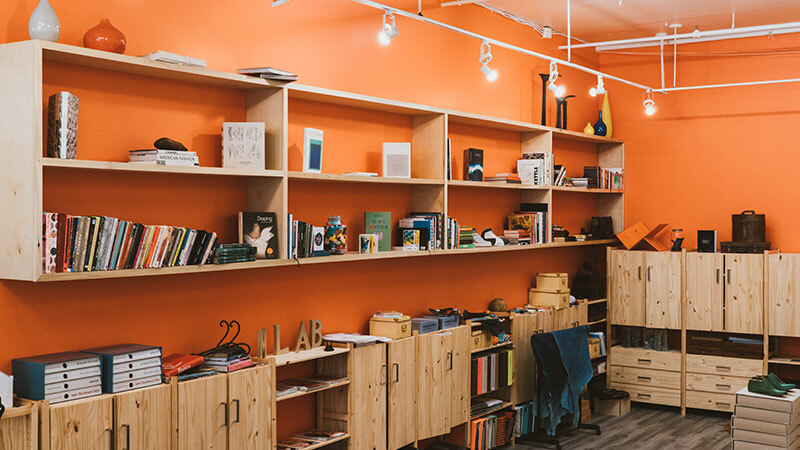 Our studios are located in the heart of Portland, Oregon, the epicenter of creativity and design. During our open sessions our alumni, representatives from big brands, and portland’s creative community often stop by to explore or lend their expertise. Each Studio offers resources and opportunities for a specified design discipline , but no matter the studio you have the ability to explore them all. Pensole was founded in 2010 as a footwear design academy by D’wayne Edwards, former Design Director. Implementing a “learn by doing” curriculum students are taught to THINK before they create and do everything by hand, from sketching to rendering to prototyping. Students will learn the entire product design process: inspiration, concept-development, design process, problem solving, materials, prototyping, marketing, business, networking and branding. 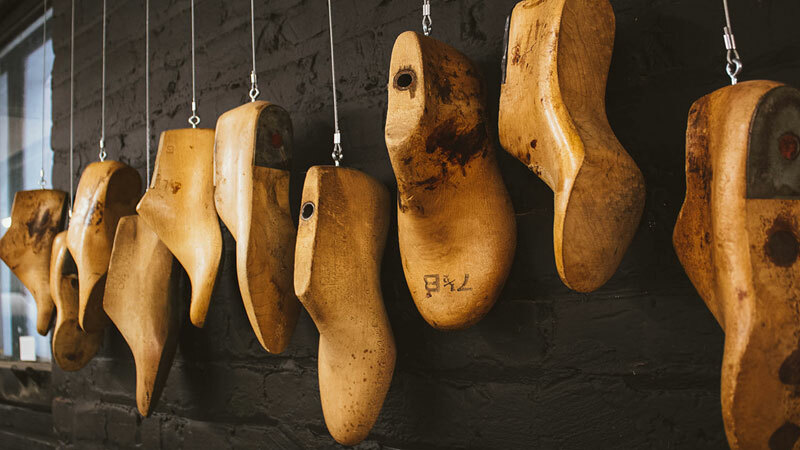 Since its conception, PENSOLE has evolved to much more than just a footwear design platform. It is comprised of four different studios that work together to create well rounded offerings for students interested in the product creation industry. Founded in 2012 by Suzette Henry, the MLab was created as a resource to support Pensole and provide an educational platform for fundamental and innovative materials to be introduced to our design community. Since then, MLAB has evolved into a springboard for global companies to introduce Color, Raw Materials, and Finishes through a creative lens. Transparency and Partnerships make MLab a successful landing space for creatives to learn and own their CMF voice. The MLab team introduces the basics of raw materials used in the product creation process while also crisscrossing the globe to connect with worldwide industries, mentoring through creative thinking and professional development. We are rewarded by working closely with global brands to place students and change lives. The MLab has written a global template for all things CMF. FAAS (Functional Apparel & Accessories Studio) is a unique ‘learn while doing’ program instructed by Founder and Design Director, Angela Medlin. Utilizing three decades of global performance and lifestyle apparel experience in brands that include Nike, Adidas, The North Face, Levi Strauss and others, Medlin instructs students to become creative ‘Solutioneers’. 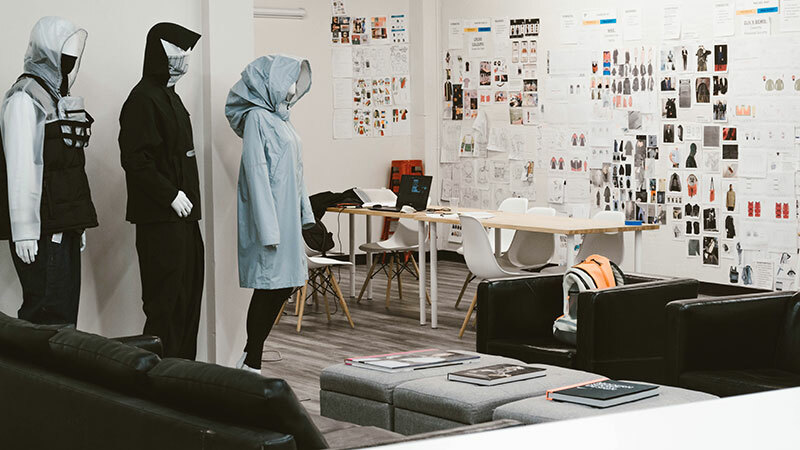 FAAS students design innovative apparel and accessories through problem solving for the consumer’s product needs in 2 to 12 week design intensives. In addition, global brand leaders offer the FAAS students ‘real time’ mentorship to support a ’true to industry’ educational experience. Curriculum includes 3D (Browswear) digital prototyping, physical prototyping, pattern making, industrial sewing, hand and digital illustration, tech packs, product pitches, digital presentations, team collaborations, personal and professional development. In FAAS, we encourage and challenge those who currently design in other disciplines to expand their skill set into performance apparel & accessories. Become a well rounded, ‘head to toe’ designer to evolve with the product creation industry. A world of opportunity is waiting for you. 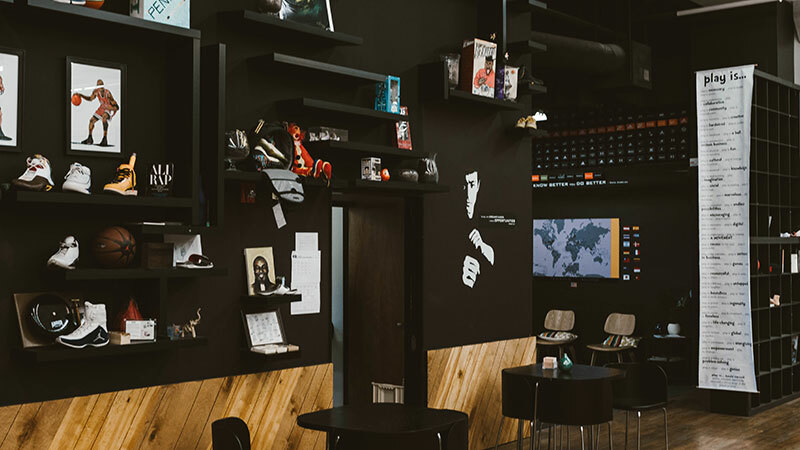 203 Concept Shop offers intensive courses that introduce aspiring designers to the art of shoemaking by teaching students to the basic of pattern making, sewing, lasting and attaching upper and bottom unit. Designers can bring their own designs that we help make them come to life. 203 Concept Creation guide students through the process of creating proof of concepts all the way to creating wearable prototypes. We offer short courses when the 203 Concept Shop is not in session with Pensole’s Master Classes or design intensive with PNCA.